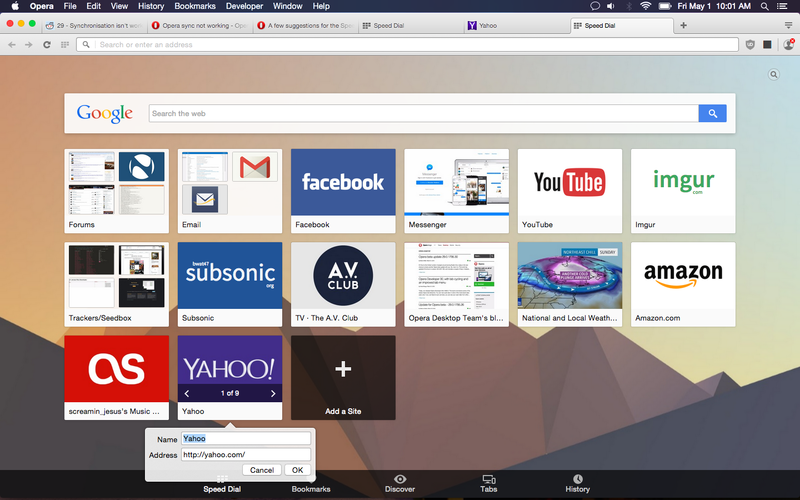 Opera 29 now allows users to change speed dial thumbnails via the heart menu. 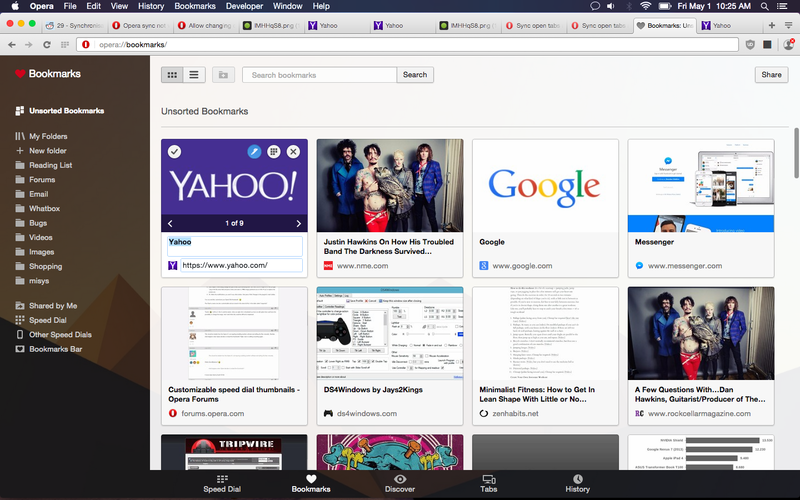 This is a great feature (my favorite feature of opera 29), but it is sad to see that it is not very discoverable at all. I have already come across many users that have no idea this feature exists in opera 29, and many of the users that do know of it find it awkward to use. To resolve these issues, In addition to changing thumbnails via the heart menu, opera should also add the ability to change thumbnails to the speed dial's right click > edit menu UI (and same could be done for the edit ui on the bookmarks manager page). This would allow the feature to be more discoverable and much less awkward to use. For example, one usage scenario where the current method of changing thumbnails is too awkward is if you have many bookmarks and/or speed dials that you want to change the thumbnails for. Currently you would have to open each page in a new tab and then change the thumbnails via the heart menu. if users had access to do this right from the edit UI on the SD/BKM pages it would be much quicker to make these changes and much less awkward. You should probably post this in the Suggestion Box forum or in the comments of a announcement blog post. The devs don't really spend much time here so its not the best way to get their attention. I noticed that it seems like some of the issues with the new thumbnail changing would be solved by simply treating the 'speed dial' folder as an actual bookmarks folder. If you have items present in the 'speed dial' folder but not present anywhere else in your bookmarks, opera doesn't seem to actually consider them bookmarks, if you click those dial entries to load them the heart icon shows as grey like its not bookmarked, even though the speed dial is now integrated with the bookmarks manager. This is confusing behavior because the user has items that are present in their speed dial folder but its impossible for them to change the thumbnail without manually re-adding them as bookmarks.